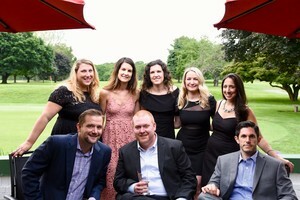 The ‘Light the Way’ Annual Spring Gala to benefit Beth-El Center homeless shelter and soup kitchen in Milford will take place on Saturday, June 1, 2019 from 6:00 to 10:00pm at the Mill River Country Club in Stratford and will include dinner, dancing, silent and live auctions and a new awards ceremony. Tickets for the Gala are $100 per person. Enjoy a festive evening while helping those experiencing homelessness and hungry in our community. To secure reservations, please visit www.bethelmilford.org or call 203.876.0747.